A holiday tradition: I honestly don't really have any holiday traditions. For as long as I can remember my dad would make sausage balls around the holidays so I've kind of adopted that tradition. I actually stressed out over the weekend when I realized I hadn't made them yet so I ran out, got everything and made them Sunday! What you'd like to see Santa bring you most this year: There's not much on my wish list this year that I can't live without! I got to see my parents before the holidays so that was nice and definitely would have been something at the top of my wish list. What's your go-to stocking stuffer: Probably lip balm. I have an obsession with the stuff and I know it's pretty helpful during the cool, dry winter season. Who is hardest to shop for during the holidays: Hmm... I think it depends on the year. I do my best to pick up on clues and mentions throughout the year for gift ideas so it depends on who gave me the least to go on throughout the year. But usually guys. Christmas tree lights; colored or all white? : All white, all the way. My entire tree is decorated in gold and silver ornaments with all white lights. Favorite holiday cocktail: Umm... probably cider. Or champs of course. But that's all year around! Favorite holiday food: My sausage balls. Hands down. Do you have a good white elephant gift idea? : Probably something funny. Who doesn't like a good gag gift, right? Do you have a funny picture of you with Santa as a kid? : Nope, can't say that I do! Do you like candy canes? : YES! I love mint in general. But like Jenn I also love ribbon candy during the holidays. Hot chocolate; marshmallows or no? : Wait. What's the point of hot chocolate without the marshmallows? Ok, I guess whipped cream works too but bring on the marshmallows! Favorite holiday song: Hmm... probably All I Want For Christmas but there are a ton of great ones! I love Where Are You Christmas too. Have you ever been on a sleigh ride? : No :( But I've ridden on an elephant. I know, it's not the same. 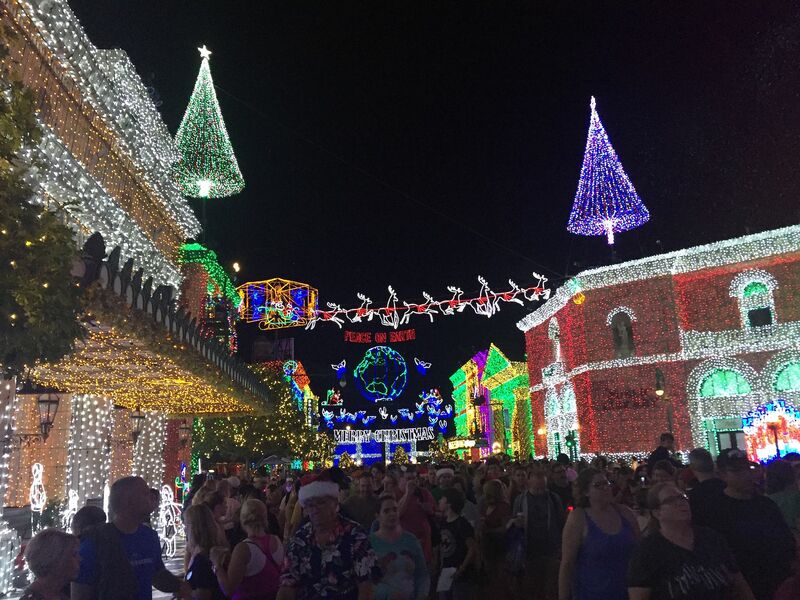 A fun holiday memory: The Osborne Lights are always my favorite holiday memory. I've been going to Disney to see those lights for years. I can't believe they're getting rid of them. I want your sausage ball recipe! I was going to make them yesterday but I never have before and I was scared!! 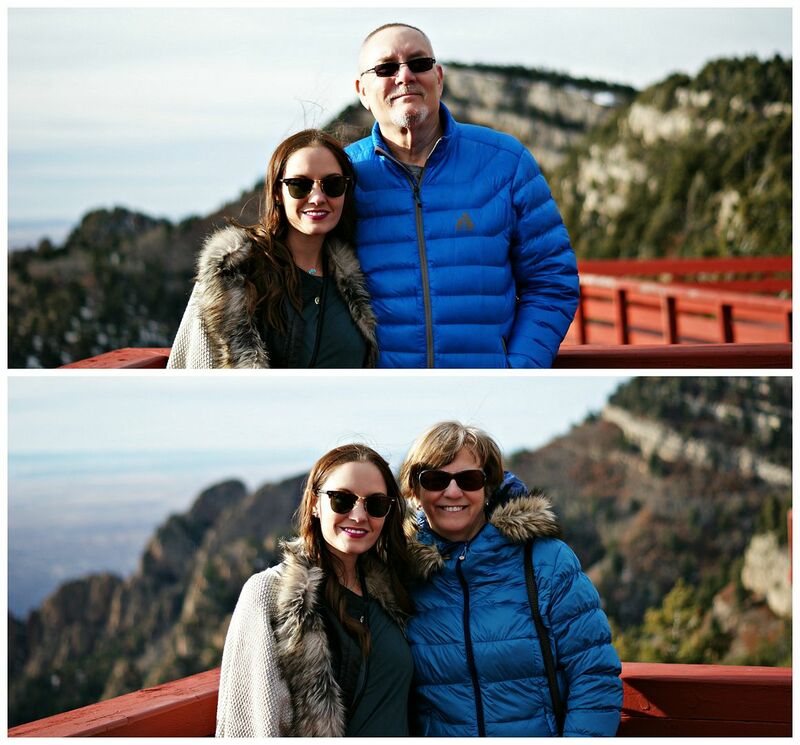 So glad you got to see your parents- it doesn't feel the the holidays without fam, for sure! Merry Christmas, lady! I love these kinds of posts! 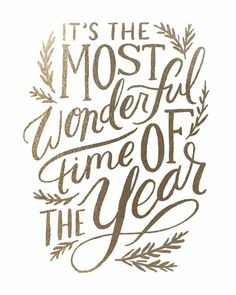 So glad you got to spend some holiday time with family :) And bring on the champagne and cider, during the holidays and beyond! I love sausage balls! My mom makes them every year around Christmas. Glad you got to see your parents! Merry Christmas! Love reading these questionnaires. You need to share that sausage ball recipe with us!! You're so cute, I love this! What are sausage balls because they sound delicious! Cider is my jam and all of Mariah's Christmas songs are the best!! And I actually haven't had any hot chocolate this year so I'm thinking I need to change that ASAP... with lots of fluffy marshmallows, of course! YAY, so glad that you filled out the questionnaire. Love that we have a love of ribbon candy in common, and lip balm is totally a good stocking stuffer gift! I think we need this sausage ball recipe! ;) And I totally agree, alllll the white lights. It just looks so classic and pretty! Cider and champs are perfect! I can drink them any time of year. Yumm your sausage balls sound delish. I need to try making those sometime! I've never had ribbon candy - but agree, champagne is best. :) Hope you have a wonderful Christmas!! Such a fun post! I think all my Santa pictures were perfectly normal - when I have kids I really hope for that classic crying picture! i loved reading your answers to this! i am sad they are getting rid of the osbourne lights too! and yes, you cannot have hot chocolate without marshmallows! What a fun questionnaire!! 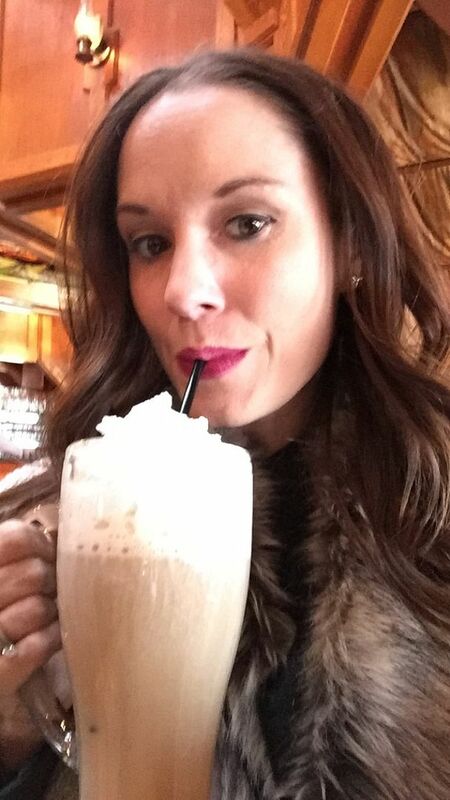 Totally agree on the hot chocolate - give me all the marshmallows!! Girlfriend I've been rocking my blanket scarf in 70 degree weather because I refuse to accept the fact that it's 70 degrees in the winter and Christmas time. I love your outfit! I have a similar dress in grey. We got the clapper one year for the white elephant and it was the best gift out of all of them. Love this! I agree what's hot chocolate with out marshmallows?! And yum your sausage balls sound amazing! It's so funny how food can bring such strong memories during a certain time of the year! I know exactly how you feel that it just wouldn't be Christmas without a certain food. And I'm definitely all about white Christmas lights! They're just so beautiful and so classic looking! Is this the last year for the Osbourne lights @ Disney? I LOVE ribbon candy, too! crazy, but some people have never heard of it!! Champagne always, especially at Christmas! Love your answers girl! 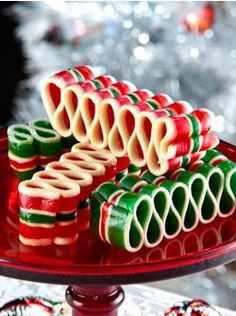 Ribbon candy is so pretty, almost too pretty to eat! So sweet that you got to see your parents, I'm with you on not having any "got to have it" Christmas gifts this year!